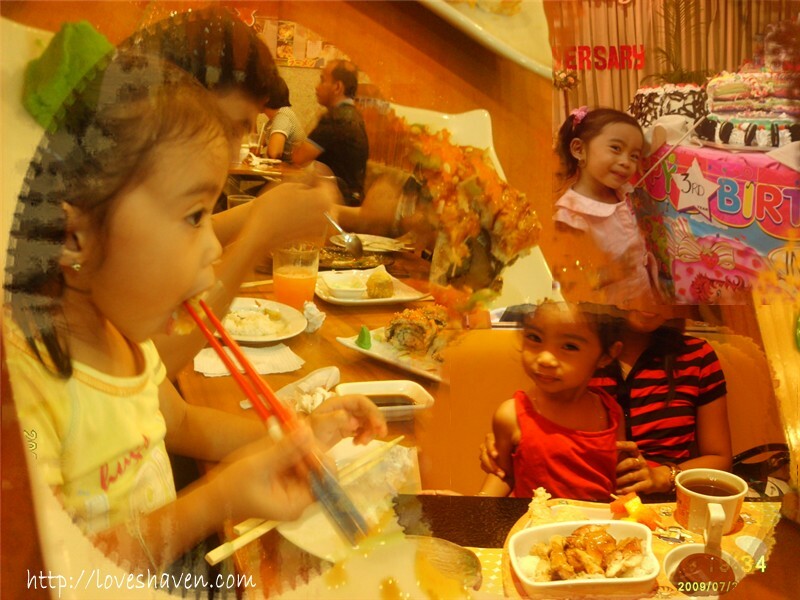 LOVE's Haven: Mommy Moments: Yummy! Thank God It's Friday, and oh my it's raining!!!!! These are the yummy moments with my lil Danielle. She was eating a Japanese food at Rai-Rai Ken with matching chopstick at 2 years old. :) The other with the red dress was with Teriyaki Boy and again she enjoyed her yummy food a that time and the one with the pink dress was during her 3rd birthday, a pose with her yummy cake! Happy Mommy Moments and God Bless! Im impressed, Danielle knows how to use chopsticks na. Ang galing! Check out my Yummy Moments here, till next week's MM. wow ang galing naman nya gamit ng chopsticks! Oohh..I knew that was a Chibi meal at TB..Its one of our first options when dining out too.. Nice collage! That's cute, eating with chopsticks. Nakaubos ba ng food? hehehe. When we were kids, we didn't have any choice, we ate what's on the table. 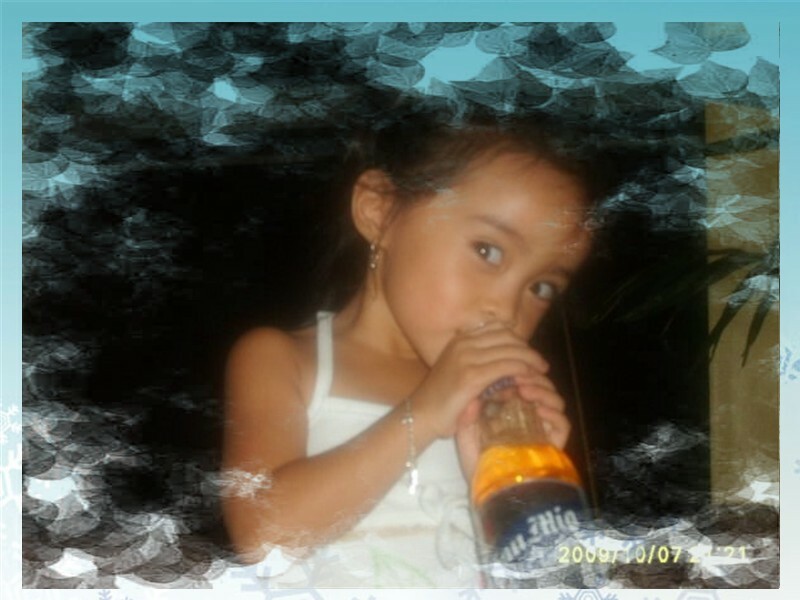 kids now, so choosy..hay..lalo ang mga kids ko.. It's raining foods hehehe.. I love how you designed your photos Phebs! sarap naman ng kain nya gamit ang chopsticks. Ang daming food ahh, and chopsticks? wow tinalo pa ako i dont know how to use one. ang galing naman mag chopsticks! galing naman. chopsticks at 2! Why Buy When You Can Win! Pls Vote for my Daughter!